Bob Halligan Jr. will sing with a couple of Syracuse’s favorite groups from the Wayback on Nov. 21. When I met up with the singer, keyboardist, guitarist, songwriter, bandleader and all-around good person Tuesday for a bite to eat and catch-up chat, I knew he would have something interesting to tell me. 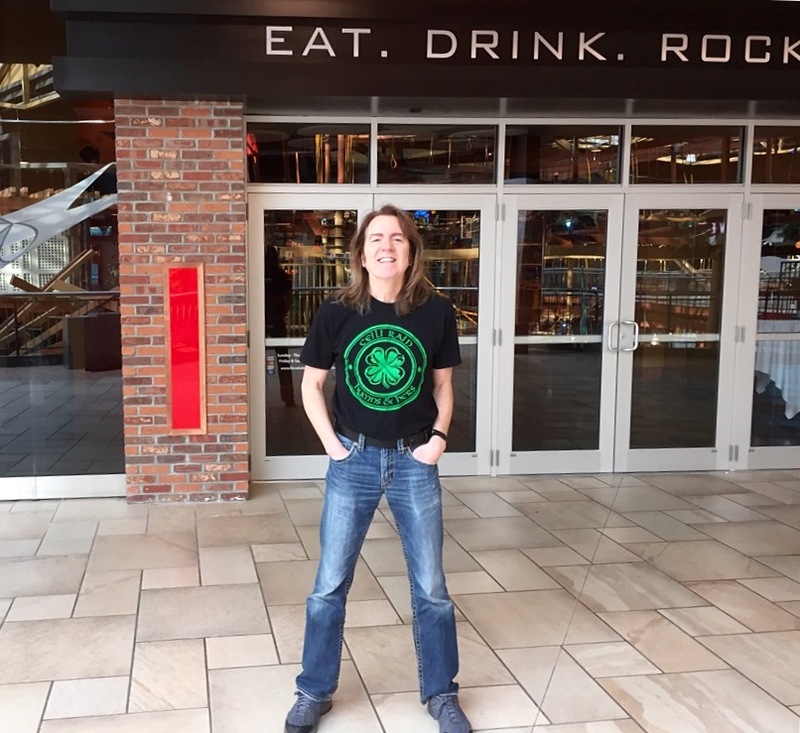 I wrote about the changes he’s seen in the 20 years he’s led spiritually inspiring Celtic rock band Ceili Rain for my weekly community column for Syracuse Public Media site waer.org. Mostly rock for Bob Halligan Jr. I also wrote about some other exciting shows he’s got coming up over there, including a one-man Beatles thing he’s cooked up in which he plays both Paul and John. He’s got the chops to pull it off after many years playing McCartney in touring Beatlemania shows and a great love of Beatles music in general. But before that, on Nov. 21, he’ll be part of a cool show called Homeward Bound Harmonies at the Palace Theater in Syracuse. That one will bring together four Syracuse bands of note from the 1960s to the 1980s: The Dean Brothers, The Todd Hobin Band, The Neverly Brothers and The Guthrie Brothers. The first two cool acts will do their own thing, folk-country-rock and rock ‘n’ roll, original songs, all-out fun. The last two will piece together cool ’70s and Simon and Garfunkel, Gary Frenay and Arty Lenin prior and Jeb and Jock Guthrie latter. And Bob Halligan Jr. will be the glue, playing a couple of songs with both those acts. “Yes, the best harmony groups from around here,” Halligan says. You sure got that right, sir, Syracuse Area Music Awards Hall-of-Famer who will prove among many others up there that night that it doesn’t take the Sammys to celebrate how deep, talented and harmonious the music pool is around this city. Here’s a YouTube clip of The Neverly Brothers tribute song after the 2014 passing of Phil Everly. Who played the latest multi-band lineup you saw, and what did you like about it? Who have you seen play in more than one band in a show, and how did it work out? Which is your favorite vocal harmony band, and why? Hi Mark!!!! I think the best bands I ever saw at the same concert was Joe Cocker and Stevie Ray Vaughan in Denver. Awesome concert!!!!! The Homeward Bound Harmonies concert line-up sounds great!!!! Wish I could see it!!!! You guys always have so much going on in Syracuse!!! Okedoke, but aren’t you guys super cold over there? Anything under 50 and I have to get the sweats and the hats out. Brrrr!!!!!! Wow, one man doing both John and Paul. I’ll be really impressed if he can do the harmonies simultaneously! Ha, ha! Talk about being able to throw your voice! wow, what a talented man he must be to pull that off. i love celtic rock by the way, too. last multi-talent act i saw was the ann arbor folk festival. no end to the talent. loved it. Great article, and it was very nice to meet you the other day with Bob. It was great to meet you, Don. Good luck with all you do, and feel free to stop by here again, sir. Well I haven’t been anywhere where they had a ‘line up’. Though when in Nashville we created our own line up by visiting multiple establishments and saw different bands, duos, individual performers – one right after the other. I have to say, there is an enormous amount of talent out there. It was a great line up too MBM!